Travel writer Paola Fornari was born on Ukerewe Island in Lake Victoria, Tanzania. She has lived in a dozen countries over four continents, speaks five and a half languages, dabbles in several others, and describes herself as an expatriate sine patria. In every new posting, her curiosity leads her to explore every corner of her host country, and experience as much ‘real life’ as she can. Her travel and lifestyle articles have appeared extensively online, and in print magazines as diverse as Cycling World, Practical Fishkeeping, The Oldie and The Buenos Aires Herald. 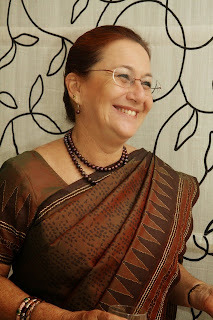 She has judged several writing competitions, and was co-judge in Expatclic’s prestigious Travel Reflections competition in 2013. 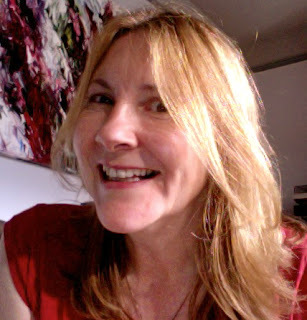 In 2013 she won the Senior Travel Expert travel writing competition, and was third in the Go Walkabout competition. She joins me today to talk about her experience judging the 2016 I Must Be Off! Travel Writing Competition and to offer some tips for writers considering entering next year. IMBO: First, thank you so much for judging the 2016 I Must Be Off! Travel Writing Competition. We were inundated with entries this year. It was a lot of work, and I’m very grateful to have had a judge who put so much passion into it. Do you feel as if you’ve been around the world and back with these stories? I certainly do. Fornari: Indeed: with fresh eyes, I have revisited places I know, such as the mountain lakes of Dominica in the Caribbean and the Scottish Highland glens. I have even returned to my birthplace, Lake Victoria in East Africa. I have been transported to new places: coastal Albania, Iceland, Sumatra…but above all, I have had a gamut of experiences I would never have thought possible: I have smelt blood at a bullfight in Seville, counted turtles at dawn in North Carolina, felt the presence of the young Nelson Mandela in prison in Robben Island, tasted bakalar in Croatia, cruised down the Elbe, ducked missiles in Gedera in Israel, ridden in a hot air balloon in Burgundy, and even been shaken by an earthquake in Ecuador. IMBO: After all these weeks we have finally revealed the winners, although each of the Top 18 is in some way a winner. It’s an insanely difficult question, but why did you choose Graham Mercer’s “Wild Encounter” to win first place? I was looking for stories that go beyond what you can read in a guidebook, beyond ‘If it’s Tuesday this must be Belgium’, beyond people snapping selfies in front of the Taj Mahal or going to a game park where rangers radio each other when they spot a rhino and tourists are more intent on ticking the Big Five off their lists than experiencing this exciting moment that will never again happen. I was looking for writers who ‘get there’, who make connections with the place they visit and the people they meet. • Was there a strong sense of place: did it transport me there through detail and description? • Was the angle original? • Was it well-written, which to me meant written in a clear, unfussy, unpretentious style? • Were the characters believable? • Was the story complete, rather than something that read like a blog extract? Many stories fulfilled all these criteria, so I added another, perhaps more subjective one: on a scale of one to ten, how much did it wow me? This meant did it make me laugh out loud? Did it give me goose bumps even on the sixth reading? Did I lie awake at night thinking about it, feeling it with all my senses? I was left with about half a dozen stories, and reread each of them several times. “Wild Encounter” has it all: the structure – opening with a fairy tale bear and ending with a terrifying real one – is superb. The characters are well-drawn ‘…Farouk says “Shalimar Gardens” with the joie-de-vivre of a Southern Rail Guard announcing Clapham junction…’. The images are original ‘…a serrated, explosive snarl, like the momentary bite of a chainsaw ripping into teak.’ The language is economical, and the sparing brushstrokes of detail haunting: ‘glib-tongued charm’, ‘stippling the still waters’, ‘raddled, hatchet-faced features’, ‘mouldering, mushroomy decadence’, ‘a golden oriole is pouring out its melancholy, fluting call’. I giggled at Ali Mohamed’s ‘wipers’…and wept with relief and joy each time I read this sentence: ‘And time remembers to tick and hearts to beat’. IMBO: Can you give some general advice to writers entering contests like the I Must Be Off! competition? • First of all, and this may seem obvious, read the guidelines carefully, and comply with them. Many competition entries (such as one particular near winner in this one!) are disqualified because they are not in line with the guidelines: they have been previously published, or are over the prescribed length. This is such a pity, because it can be easily avoided, and just wastes a lot of time and effort. • Research your judge. Of course, judges are as objective as possible, but they are human: finding out what your judge is passionate about can only point your creativity in the right direction. • Get to the point quickly. If your story is about learning to make rum punch in the Caribbean, or climbing Kilimanjaro, we don’t need to know about your plane journey to get there, or your Skype call to your mother, or what the hotel receptionist said to you that morning. Start right into the action. In this competition, unfortunately, I eliminated a lot of good stories because the preamble was too long and I was bored by the time the real story started. • Don’t feel obliged to tell the truth, the whole truth, and nothing but the truth. Leave out details that don’t contribute to the whole. The reader doesn’t really care that your Auntie Gladys was with you if she didn’t say or do much. You can even leave out the guide, if he or she isn’t particularly interesting: let’s just have you out there, making connections in your new place. Omit the fact that the bus stopped and you all piled out to have a cheese sandwich, if the stop and sandwich aren’t relevant and don’t move the action on. As a writer, you are allowed to be creative in order to end up with a better story. • Put yourself in the mind of your readers – will they understand where you are, for example? Don’t assume they know where Brong Ahafo is just because you do: you don’t want to break the flow of the story by obliging them to switch to Wikipedia to check information. • Don’t pepper your story with too many foreign words. A few go a long way to create atmosphere. Make sure you get them right. Misspelt foreign words show carelessness and, in my opinion, disrespect for other cultures. • Use speech tags sparingly. And use simple ones. Dialogue is great in a travel story: it can show empathy, anger, frustration, and so many other emotions. The occasional ‘Ahmed said’ helps us keep track. But it’s the spoken words that convey the emotion, not the ‘he reiterated/’she exclaimed’/’John hinted’ and so on. Excessive tags are unnecessary hurdles blocking the reader’s way. • Read, read, read. Read previous winners of the competition: this will give you a feel for what the organisers are looking for. Read winning travel stories on other sites. Read travel writers. And read your story aloud to yourself. This will help you pick up small errors in continuity, or big howlers. Perhaps you initially wrote your story in the past tense, then decided to change it into the present…but missed a few verbs. And read your story to a friend you can trust to give an honest opinion. IMBO: Great tips, Paola! I couldn't agree more. What are you working on right now? Fornari: For me, experiencing is more important than writing. I’m working on getting to know Ghana better. Did you know, for example, that the white-necked picathartes, a rare rockfowl that has no feathers on its head, is found here? My ambition is to spot one. I also want to learn more about the people who migrate to Europe from Ghana across the Sahara desert, looking for a better future. I want to study traditional Adinkra symbols, and get more practice in beading and making batiks. Maybe, inspired by this competition, I will look for turtles on Ghanaian beaches. I will organise a home stay in a village in the North. And if some of these experiences inspire me to write stories, that will be an extra bonus, and I will be delighted. IMBO: Paola, I hope you’re able to have all these adventures and that they lead to some great writing. Thank you again for all the work you did for the 2016 I Must Be Off! Travel Writing Competition! 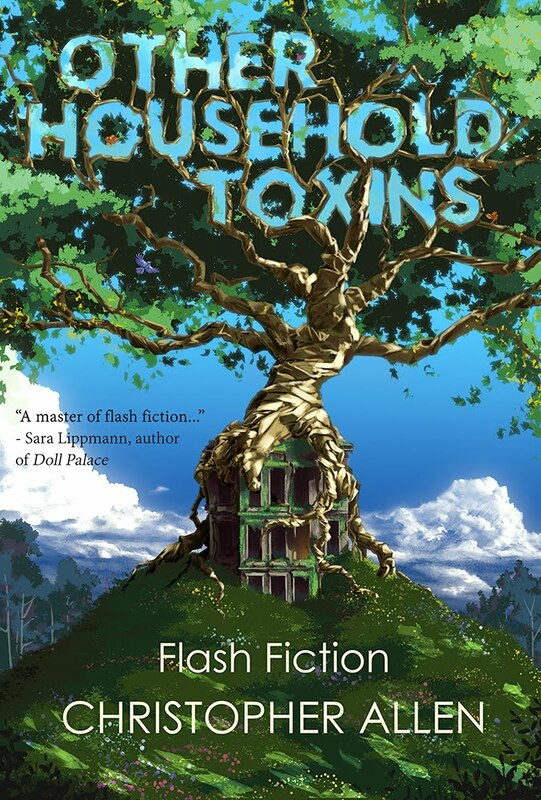 Christopher Allen is the author of Other Household Toxins (Matter Press) and Conversations with S. Teri O'Type (a Satire). Allen's fiction has appeared, or is forthcoming, in [PANK], Eclectica Magazine's 20th-Anniversary Speculative anthology, Indiana Review, Split Lip Magazine, SmokeLong Quarterly: the Best of the First Ten Years anthology, Longleaf Review and Lunch Ticket, among many others great places. Read his book reviews in Necessary Fiction, Word Riot, and The Lit Pub. His creative non-fiction has been featured in Bootsnall Travel, Chicken Soup for the Soul and others. A finalist at Glimmer Train in 2011, Allen is a multiple nominee for the Pushcart Prize, Best of the Net, The Best Small Fictions, storySouth's Million Writers Award and others. In 2017 Allen was both a finalist (as translator) and semifinalist for The Best Small Fictions. He is presently the co-editor of SmokeLong Quarterly and a consulting editor for The Best Small Fictions 2018.